We have been acting as the lead trainers for RMS Guide to Slope Risk Analysis Ver. 4 training since 2012 (Marc has been involved with the slopes program since the early 2000s). Accreditation for completion of training is through courses conducted by NSW Roads and Maritime Services. Contact Marc to discuss your training needs. 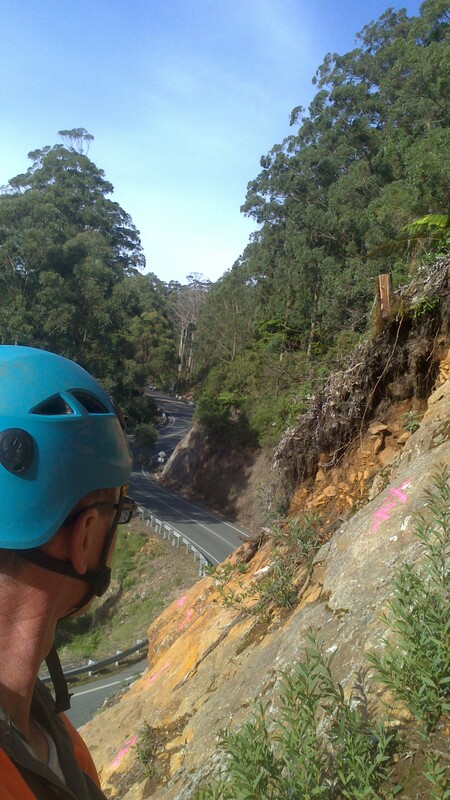 Marchgeo provided design and supervison for cutting rehab works on the Summerland Way north of Kyogle in August. The video below just one of a number of large rocks removed. Risk now down to ARL4! We have added a new SRA page that will be expanded to include more detail about our SRA, and slope risk management capabilities Marc Hendrickx and Associates are the best choice for independent advice on slope risk management. We wish all our clients a Merry Christmas and Happy New Year! 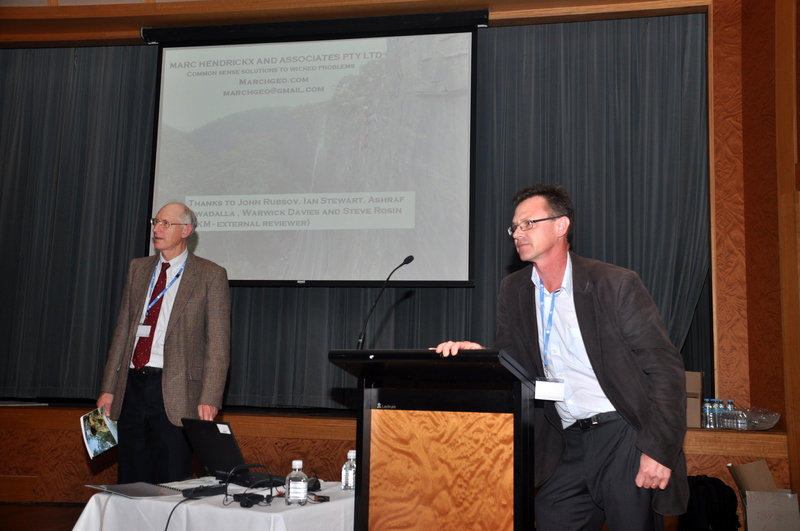 Marc Hendrickx presented at the 2012 RMS Geotechnical Conference. The title of Marc’s paper was “Management of small rock falls on the F3 Freeway”. We’ll post a link to the presentation as soon as RMS put them up on their technical pages. The Sydney-Newcastle Freeway (F3) is a major transport corridor linking Sydney with the Central Coast, Newcastle and Northern NSW. Between Kariong and Wahroonga the freeway passes through spectacular rock cuttings up to 50 m high in Hawkesbury Sandstone. These remarkable engineering structures were constructed by drill and blast methods in the late 1960s. 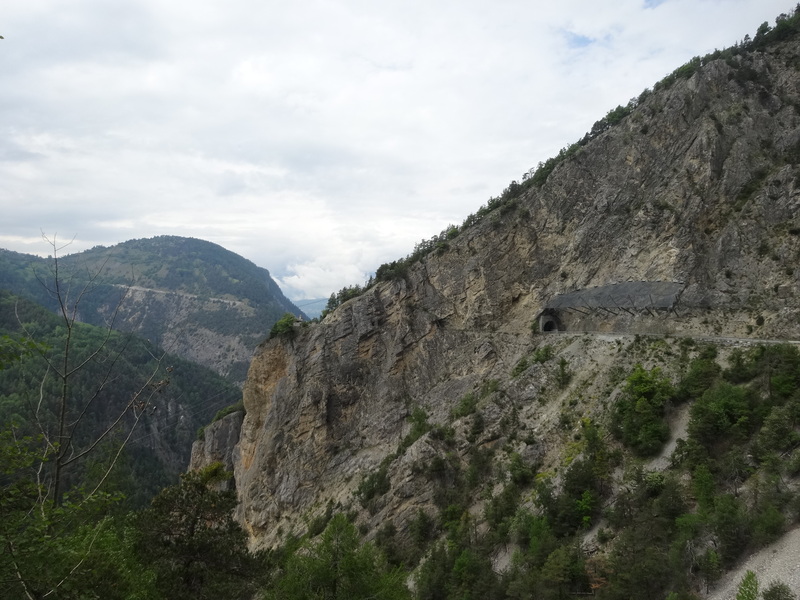 The height, steep design with an absence of benches and narrow carriageway configuration has left an ongoing legacy of regular maintenance and inspection to reduce the risks of rock falls impacting the carriageway. Qualitative slope risk analysis, using the latest version of RMS Guide to Slope Risk Analysis version 4, rates many of these higher slopes (Slopes >18m height) as high risk (~ARL2) for a direct impact from a small (<0.2m diameter) rock fall. A quantitative risk analysis (QRA) was undertaken as an independent check on the results. The QRA integrated estimates of rock fall frequency based on observations, the results of rock fall modelling software to assess potential rock fall trajectories and their probability of impacting the carriageway for different cut heights and geometries; along with traffic counts and assessed vulnerabilities, as a means of assessing the risk to life. The QRA confirmed the outcome of the Qualitative Risk Analysis. 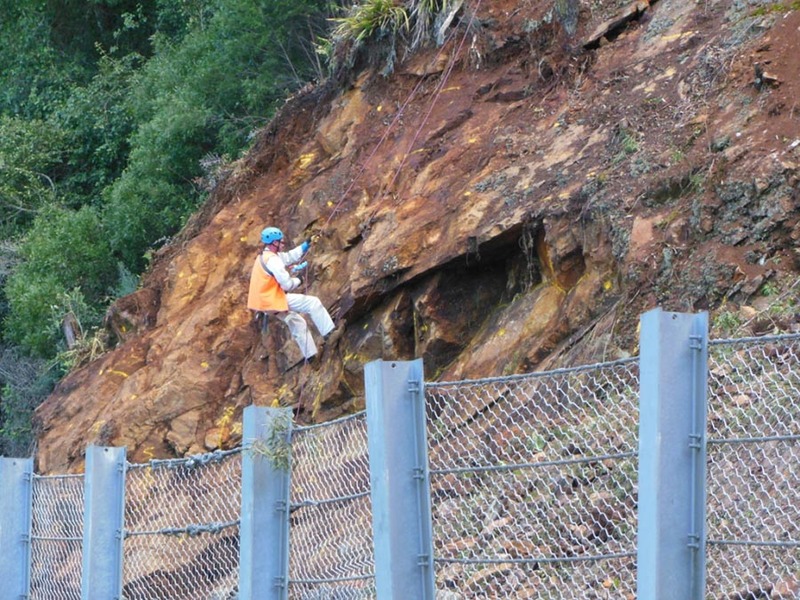 The results were combined with earlier qualitative assessments of the cuttings undertaken under ver 3.1 of the RTA’s Guide to Slope Risk Analysis to provide an overall risk to life. 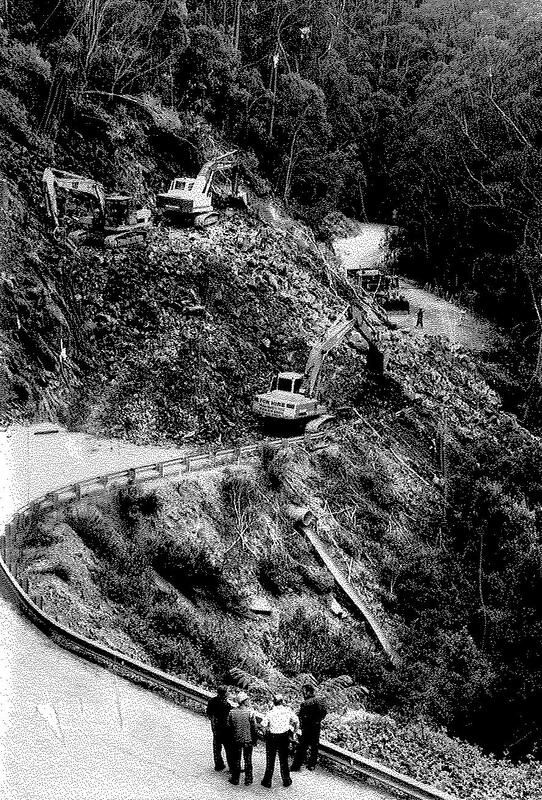 Current management practises in involve periodic (10-15years) devegetation, scaling and stabilisation of any larger rock fall hazards using passive rock dowels or shotcrete. The costs of this work are high and do little to affect the long term risk of small rock falls which re-emerge overtime as vegetation re-establishes and rocks erode as they are exposed to the weather. Rock fall mesh is installed on a number of cuttings on the F3. A comparative cost analysis was undertaken to assess the cost of installing mesh on high cuttings on the F3 south of the Hawkesbury River. The cost was found to be competitive with current management practises and has the added benefit of maintaining slope risk levels at acceptable levels over time.